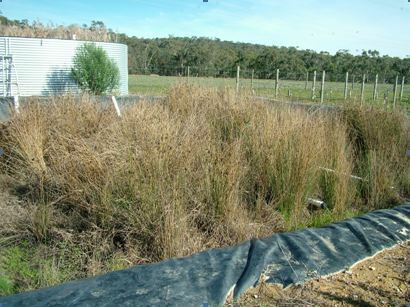 Constructed wetlands and reed bed filter systems have been used for water treatment in many applications world wide for decades. They have been used for applications as diverse as household sewage treatment and stormwater remediation. The process relies on natural photosynthesis and biological degradation to achieve good quality effluent. Wastewater passes into a primary sedimentation tank before it enters a horizontal flow reedbed and then a vertical flow bed. 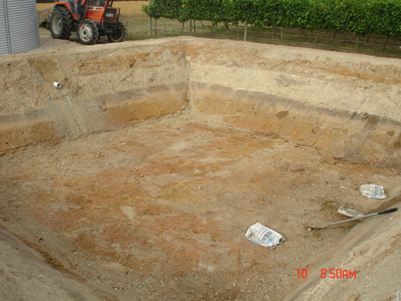 Excess effluent is sent to either leach drains or conventional beds or pumped to dripline irrigation. The Rootzone reed bed treatment systems contain special media and wetland macrophytes (plants) which provide sites for bacteria and other organisms which undertake the digestion of household wastes into simpler substances. Rootzone is environmentally-friendly technology in wastewater and sludge treatment.Water Installations has the expertise to design and implement cost effective, ecological engineering solutions that protect your investment and the environment using appropriate technology for the treatment of domestic and commercial waste water. We examine every case on an individual basis to ensure that the best solution is implemented. We take a holistic approach, looking at the source of the pollution and ways to reduce the problem as well as cost effective re-use of the output. Low Operating and maintenance costs - Servicing every six months. No Technical expertise needed to operate. Alternative system to septics and some ATU applications. 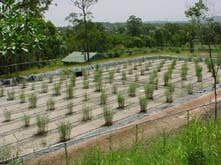 Rootzone filter bed systems produce no noise or smells. However, like all wastewater systems, sludge and scum slowly accumulates in the primary sedimentation chamber. This will need to be removed by a Liquid Waste Contractor every ten years or so. ​With little or no electrical or mechanical parts, rootzone systems are long lasting, wear free, self regulating eco-systems that are simple to operate without complex controls and chemical additives. The maintenance requirement is relatively low and the system life is very long. Horizontal subsurface filters (HSF) are able to remove a wide range of contaminants from wastewater. The effluent passes through the media and plants, and nutrients are reduced. ​Vertical reedbed filters have a different flow pattern to horizontal flow. Again, nutrients levels are reduced, and because the pump keeps effluent levels low there are periods of aeration in the bed. There is a legal requirement to have a written service agreement with an authorised service provider.